April 8, 2016 April 22, 2016 archivetvmusings BBC Drama - 1980's, Simply Media	Barry Letts & Terrance Dicks, BBC, david parfitt, john woodnutt, robert addie, robert burbage, stalky & co.
Stalky & Co. was a collection of short stories by Rudyard Kipling, originally published in 1899. It concerns the adventures of Stalky, M’Turk and Beetle, three boys who are resident at an unnamed public school. Kipling drew on his real life experiences when writing the stories – several of the characters are based on people he knew, whilst Beetle is a version of Kipling himself. The novel can be downloaded here. By the early 1980’s, the Classic Serials occupied a familiar place in the television schedule. Sunday tea-time would be the time to see efficiently adapted serials with first rate casts, but eventually their familiarity began to breed contempt. Just a few years later there were rumblings from certain quarters that the Classic Serials were beginning to look old hat themselves. This was mainly do to with their visual look, as – like Stalky & Co. – they were shot entirely on videotape. Bleak House (1985) was one of the first of the modern all-film BBC adaptations and it offered the programme-makers the ability to craft images with a cinematic sweep. Compared to this, the poor old Classic Serial began to look somewhat second best. But whilst the Classic Serial will never have the visual gloss of a modern film production, you know that you’re going to get decent actors and a faithful adaptation, so it’s always a pleasure when another one escapes onto DVD. Although Robert Addie (Stalky), Robert Burbage (M’Turk) and David Parfitt (Beetle) all look a little old to be schoolboys (the actors were in their early to mid twenties at the time) it’s not really a problem as you quickly become embroiled in the action as episode one – An Unsavoury Interlude – begins. It finds the three boys fighting a war against a rival house. Their house, Prouts, is named after their housemaster Mr Prout (John Sterland) and they’re at bitter loggerheads with Kings, led by Mr King (John Woodnutt). Stalky & Co. have little time for their own Mr Prout, but view Mr King with even less enthusiasm. King (a wonderfully whiskered Woodnutt) is an eternally mocking character and his jibes are taken up by his boys. After Stalky, M’Turk and Beetle are observed heading off for a bathe (we see their bare backsides as they dive into the water – an unexpected Sunday tea-time sight!) they have to face taunts from the Kings boys that they smell. How do they gain revenge for this jibe? Stalky has obtained three pistols and the boys head off to shoot some rabbits. Beetle, being rather short-sighted, bags a cat instead and it’s an obvious wheeze to deposit the dead cat as close to the Kings dorms as possible – and then sit back and wait for nature to take its course. This casual slaughtering of defenseless animals is a bit of an eye-opener and it’s debatable whether it would be something that would sit comfortably in an early Sunday evening timeslot now, but I also doubt that many eyebrows were raised back then. Mr Prout and Mr King team up to try and catch our heroes in the second episode, In Ambush. Mr Prout has discovered the den in the forest used by Stalky, M’Turk and Beetle, which is a bit of a problem. Where can they now go to smoke to their pipes in peace? Luckily Stalky has a brainwave, and he and the others join the natural history society run by Mr Hartropp (played by Geoffrey Beevers, who like the other teachers sports an impressive moustache). The benefits of being members of the natural history society are clear – it means they’re free to roam wherever they like in the forests. They venture even further afield, to the woods owned by Colonel Dabney (Denis Carey). M’Turk is appalled to see Dabney’s gamekeeper shooting a fox and rushes to the house to confront the Colonel. Although you might expect Dabney to be somewhat put out to be buttonholed by three schoolboys trespassing on his land, this isn’t the case. He can tell they’re gentleman and knows a little about their families and history. This provides us with a good example of Kipling’s values and mindset – the three boys might frequently flout the school rules but they’re bred to rule, so the likes of Dabney are happy to treat them with indulgence. Prout and King might hold a temporary position of authority over them, but Kipling’s sympathies are always directed towards Stalky, M’Turk and Beetle. Although Prout and King are presented as little more than bumbling comic relief, the Headmaster (Frederick Treeves) is somewhat different. He regards the boys more in sorrow than anger and whilst he admits he has no evidence against them, decides to cane them anyway (six strokes each on their upper backs). He tells them this will be character forming and it’s no surprise they take it like gentleman (although it’s debatable how hard the strokes were). So Prout and King seem to have won this round, although Stalky & Co. remain unrepedant after leaving the Headmaster’s study. Slaves of the Lamp opens with Stalky and the others rehearsing for the upcoming pantomime. The peace doesn’t last long as King bursts in, incandescent with rage at some unflattering doggerel written by Beetle. This infuriates Stalky, who calls a council of war to discuss how they’re going to deal with King once and for all. Robert Addie, who a few years later would be a memorable Guy of Gisburne in Robin of Sherwood, is in dominant form here. This one also allows John Woodnutt the chance to go soaringly over the top, which is great fun to see. Another brilliant comic performance comes from Roberts the cart-driver (played by Morgan Shepherd) who has a rather violent disagreement with King, which involves several broken windows and many hurled insults! The arrival of two young men, Sefton (Glyn Baker) and Campbell (Tim Faulkner), in episode four (The Moral Reformers) sows a little discord. They’ve arrived for six months intensive cramming and they instantly rile Stalky, although he’s quick not to offend them to their face (“remember your Uncle Stalky’s motto, never fight unless you can win”). The relationship between the Padre (Rowland Davies) and Stalky & Co. is a fascinating one. He treats them as equals and seems quite at ease relaxing in their rooms, puffing on his pipe. But he does have an ulterior motive – a young boy, Clewer (Matthew Blakstad), is the victim of severe bullying and the Padre asks Stalky and the others to find out who the culprits are. Although bullying is something that seems to regarded as part and parcel of school life (all of them – especially Beetle – suffered when they were Clewer’s age) they still readily agree to hunt the bullies down. Their identity isn’t a surprise, but it’s another chance for Stalky to demonstrate his ruthless side. The bullies are well and truly taught a lesson by Stalky and Co. (to the evident delight of the Padre). A Little Prep features one of the perennials of public school life – rugby. Stalky and M’Turk find themselves drafted into the school squad and perform credibly against a team of old boys. One of the old boys, Crandall (Simon Shepherd), is able to tell Stalky and the others about how another ex-pupil, Duncan, was killed in action (he was a soldier, fighting in India). It’s a reminder that boys in schools such as these were bred to be officers (at one point Stalky wonders what it’s like to be shot at) and given Kipling’s background it’s no surprise that Crandall’s tale is a stirring one, with Duncan maintaining a stiff upper lip right until the end. 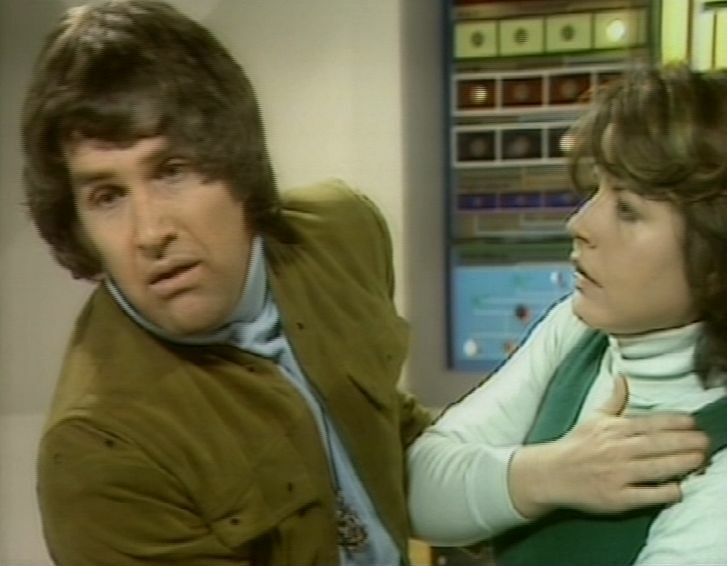 Apart from Shepherd, there’s another familiar face guest-starring (Dominic Jephcott). The serial ended with The Last Term. Stalky and the others face their last term and he wonders where they’ll all be five years from now. The Headmaster has obtained a plumb job for Beetle – working on a newspaper in India with a salary of one hundred pounds a year. Stalky looks set for Sandhurst whilst M’Turk has plans to be a civil engineer. But before they leave they still have the chance for a few final scrapes …. 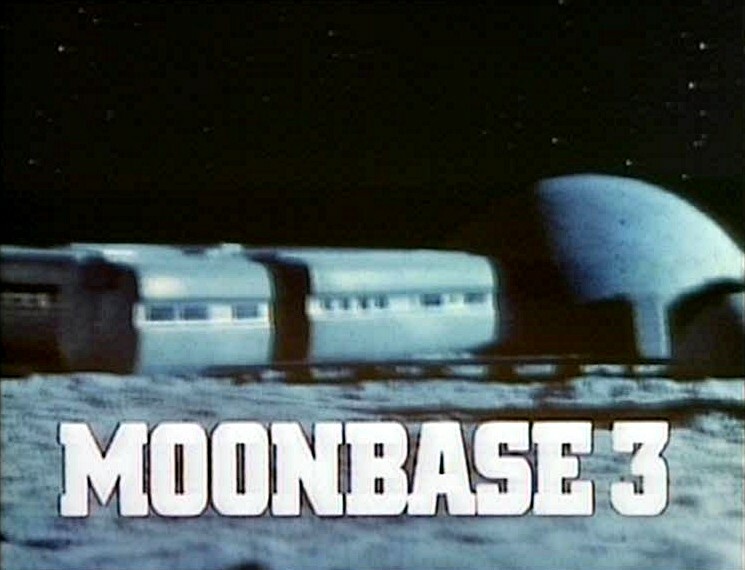 Produced by Barry Letts, script-edited by Terrance Dicks and with music by Dudley Simpson, this was something of a Doctor Who reunion. 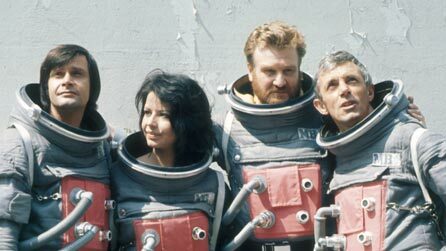 Although Simpson’s scores on both Doctor Who and Blakes 7 had got into something of a rut in the late seventies, his work here is quite different (and all the better for it). Rodney Bennett’s direction was effective and unshowy, but he was able to get the best out of the cast, enabling them to mine Alexander Baron’s adaptation for maximum comic effect. Stalky & Co. is available now from Simply Media.